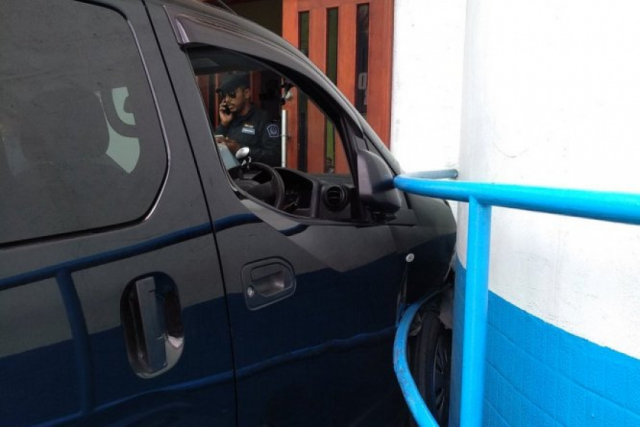 A vehicle belonging to Maldives Correctional Service crashed into the fence surrounding Criminal Court in an accident this Sunday morning. The accident took place at approximately 11 am. Eye witnesses reported to “Sun” that the vehicle was carrying defendants to court when it lost control and crashed into the iron fence surrounding the Criminal Court. Some of the eye witnesses reported the official driving the vehicle suffered injuries in the accident. And that he was carried to the hospital unconscious. Maldives Correctional Service was not immediately available for comment regarding the accident.